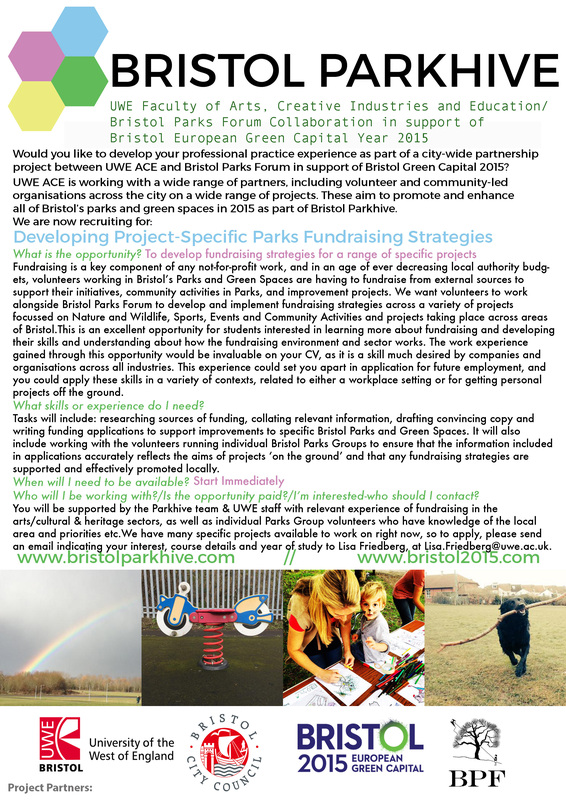 Working alongside a park group in Bristol, we are looking for students to help develop walking and exercise routes and trails in parks, helping the public both get into nature and stay fit while doing so! There is lots of scope to help parks groups develop different trails of activities around their green spaces, everything from mapping out routes of designated lengths and degrees of difficulty, to coming up with exercise routines and even an obstacle course! Following that, there is then scope to team up with a design or illustration student to make a printed map or brochure of different activities. This position is suitable for students studying or having an interest in Public or Community Health or Sports related fields.